Should I buy this E46 with $22k accident? 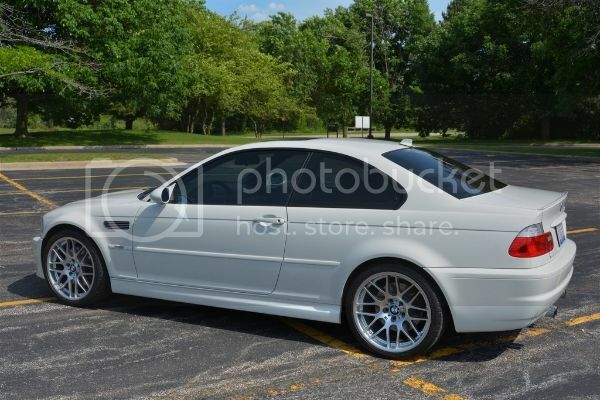 So, I found a beautiful 2002 M3, everything has been maintained very well, has had subframe reinforced, etc. We came to a tentative agreement to purchase the car, pending inspection and my review of the Carproof report. Turns out there was some large accident claims that the previous owner didn't know about. There's no evidence of repair (it's perfect) and no structural damage, clean title. One accident was $22k in 2006 and another $5k accident. Would you go ahead with the deal or run away? I'm concerned that if I want to sell it in a year or two, I will have to lose $000s. Re: Should I buy this E46 with $22k accident? Hard to say without seeing the car. That being said, why should you have to lose the 000's? Why not get the seller to do it on the front end for you on the purchase price? If the report bothers you then why not just find one without an accident history? Is that a typo? I can't imagine what type of work was done that costs $22k for a front right collison. I'm very particular about my cars and one of the criteria is that they're accident free. Not just for resale but for peace of mind. If it was actually $22k in damage, that would be enough to total a vehicle. Does it have a salvage or a re-branded title? That can affect a car's value by as much as 50%-IDK man!? It would have to be a killer deal for me personally. 22k in 2006 would have not totaled a newer M3 at the time frame. If it was the right front it could have included the shock tower which would require removing the engine etc. Check to see if the shock tower has the etched vin or if it's smooth. Air bags, Xenon headlights etc. all add up. I have a very small hit on my 330XI and it was $7k for the trunk, bumper and the panel under the tail lights. Apparently its not a typo. And in 2006 it wasn't enough to total it because the value would've been in the high $30s or $40s then. By the way, this is Canadian dollars. It's tentatively agreed at $18,000 Cdn ($13-14k US) before I knew about the large accident with 165,000 km (102,000 miles). Front has been resprayed and it's beautiful. Subframe reinforced, valves adjusted, new tires on VMR wheels. Good collision work adds up incredibly fast, especially using OEM pieces. If you are happy with the car and everything seems fine then I don't think its something to run away from. Does the car track straight? Does everything line up properly? The car has been on the road for 11 years since the accident. If you think its something that will bother you then perhaps its better to pass on it. Go through with the inspection and you'll know what you want to do after. If it passes your inspection and a 3rd party PPI, why not? It has a clean title. All times are GMT. The time now is 08:08:23 AM.